Breakwater Books is a bookstore and coffee shop with a regional atmosphere. The store is owned by Shawn and Ruth Dees This comfortable local landmark features books by local authors, a wide stock of regional publications, and an environment for literary meetings. 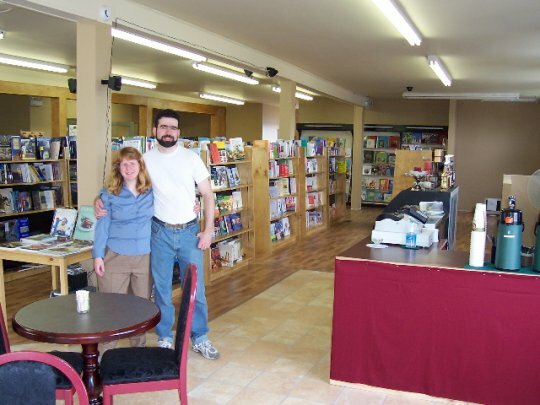 Conveniently located on Alberni Avenue just above the Marine Avenue intersection, Breakwater Books provides a great environment to browse for books by your favorite authors. A coffee shop and convenient reading areas are located inside the store. Breakwater Books is open Monday through Saturday, 10 AM to 6 PM.